We’re very excited to announce our latest release of BREeze – BREeze 3.0. When we launched BREeze over two years ago, the vision was to provide a Salesforce rules engine platform that could assign any field on any object at any time. Our original vision was to simply extend the existing assignment rules setup that Salesforce provides and make it more powerful. With each new customer we add, we’re seeing new and more creative use cases for rule sets and we’ve become more convinced than ever that BREeze can be the platform to deliver these. If the new Account record was a High Tech Account in MA with 15,000 employees we want 3 Account Team records created from rules 1, 2 and 4. By de-selecting the Optional Stops field on the rules set, we’ll now review all 4 rules for processing, instead of stopping on the first true hit. There is a lot of potential with this feature. Previously, this would have required 3 different custom functions to be built. Now, we can have one function and when entering in the rule, you have the ability to dynamically populate the value. This can also be extended to multiple values for use cases like automatic Task creation or Email alerts where multiple fields need to be set for the action. BREeze for Process Builder – Process Builder is an extremely powerful workflow engine and is a perfect complement to BREeze. With BREeze, 3.0 you can now call a rules set from within a Process Builder step. This allows you to leverage a rules set without needing a trigger, and also gives you the flexibility to call different rule sets based on the flow of the process. Pre and Post Processing Custom Function – Custom functions now have the flexibility to be called pre and / or post processing of the BREeze rules. For more complicated rule sets, this allows you to reduce the total governor limit impact and most importantly, improve the overall performance of evaluating and processing the rules. 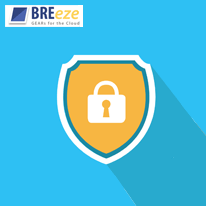 BREeze still needs to be able to process within the governor limits of salesforce, so this new functionality greatly extended what can be done within those limits.For example, let’s take the Public Group use cases above, and then let’s combine it with some of the new features from 3.0. If we wanted to remove the Optional Stop, and we wanted to process all rules for each user (which is the most likely scenario for this use case), we could leverage post processing to evaluate all Public Groups a user should be added to, and add them after all of the evaluation is completed in one query, vs. having to run a process each time the rule evaluates to be true. BREeze 3.0 is available now. For more information on pricing or if you’d like to see a demo on BREeze, please fill out our Contact Us and we’ll get right back to you. With BREeze 3.0 we are extending the power of the leading native force.com rules engine. BREeze – Any field. Any object. Any time.